Now more than ever, borrowers value speed to commitment and convenience in the credit decisioning process. They are willing to pay a premium to get a definitive credit commitment quickly and conveniently. Slow or cumbersome processes cause customers to miss out on opportunities. Your ability to compete going forward will depend on how effectively you can adopt and embrace the technology necessary to provide speed and convenience without compromising credit quality. Salesforce ™ is the world’s leading Customer Relationship Management platform with a full suite of customized solutions to help you save time, reduce costs, optimize revenue and manage risk. Salesforce ™ is an incredibly powerful, and infinitely customizable platform that has the potential to revolutionize pipeline management and forecasting, credit decisioning, proposals, origination, risk management, and servicing. so we make the feeding simple. Our goal is to build you a system that your employees want to use not a system they feel obligated to use. Salesforce ™ is only as effective as the underlying information we feed it. Accordingly, it’s crucial that your customer-facing frontline adopts and fully embraces the new process. People are creatures of habit and learning a new system has its own internal friction. We can help you reduce or eliminate that friction by customizing the platform to fit your needs instead of shoehorning you into an off-the-shelf solution. An equipment finance management platform designed with your specific needs in mind inspires confidence in your team. It eliminates the constant manual intervention and double entry resulting from a hodgepodge of desperate business systems and processes. That confidence converts to increased adoption, higher employee retention, increased efficiency, more reliable data, Maximized ROI, and stronger credit quality. You want a tool that’s easy to use so that your team will actually use it. Stay ahead of the competition with connected and user-friendly technology for your customers and partners. day-to-day. Avoid double entry and manual intervention due to disparate business systems and processes. You’re tired of waiting on your vendor to get things done, especially when you needed it yesterday. Take back control with a system that you can easily understand, support, and configure internally. At Cirrius Solutions we design you an equipment finance platform that can evolve with you and your industry. Our clients come back to us time and time again because we do right by them, not because they have to. Our record speaks for itself. We’re consistently ranked in the TOP 1% of Salesforce™ Consultants. We have a Perfect 5-Star rating on AppExchange. Our biggest source of new business is referrals from our existing client base because we are reliable, responsive, and proactive. When you purchase a custom-designed equipment finance management system from Cirrius Solutions, you own it. The systems we design are open-source. We hope you come back to us in the future when you want to tweak or improve your system and processes but we design your system so that you don’t have to. Our equipment finance management systems are serviceable by any reputable Salesforce™ professional. We can design superior equipment finance management systems because we understand the world of finance and we are masters in the world of Salesforce™. We leverage our 250+ years of combined Salesforce ™ experience to provide you with the most effective and efficient equipment finance management system available today. Salesforce™ is constantly evolving. We stay on top of the latest evolutions so you can focus on your core business without missing out on opportunities to innovate. Cirrius Solutions has developed a configurable foundation for the equipment finance origination process powered by the Salesforce platform. We utilize a template-driven approach to gather and build the requirements specific to the lessor. A fully customizable Salesforce solution with the ability to adapt to your ever-evolving needs. Standard lead and opportunity tracking, seamlessly integrated into the rest of the origination process. Manage critical financial decisions through automated policy rules. Quickly capture and score applications for a range of financial products and decision using relevant data sets based on exposure and performance. Verify customer identity and evaluate credit risk using data from credit bureaus, past performance, and a breadth of other analytics. Track lender pre-shop activity, vendor invoices as they are received and assets are accepted. Standardize the document generation process through the use of templates and automation. Store and link virtually any type of documents or files that your team members need to access directly in Salesforce. CPQ Product Configurator helps companies achieve greater sales success by simplifying the configuration, pricing, and quoting of products and services. Utilize advanced analytics powered by artificial intelligence (AI) that empowers sales reps, service agents, and executives to get the insights they need to make every business decision and customer interaction smarter. Provide comprehensive functionality to handle end-of-term processing, including maturity notifications, pay offs and pay downs, late stage collections, workouts and remarketing. Facilitate the interaction between servicing and end-of-term processes, ensuring full transparency to the servicing agents. Radically increase agent productivity, give customers valuable always-on self-service options, and dramatically improve customer satisfaction by enabling your reps to solves problems faster. Our latest innovation that will help your company create online portals to better connect with your customers, partners and products. Leveraging the power of automation, we create a unique user experience that allows you to connect with your customers around the clock from any device. Customizable system capable of managing thousands of assets through the entire life cycle. Asset are managed from an operational, financial and accounting perspective. Organize contracts and supporting documents for efficient access from a central electronic repository. We can build custom workflow against your critical data and/or we can integrate with the most popular full-lifecycle contract management systems. Collections cloud uses sophisticated workflow to speed up the collection process. We provide a complete set of tools to optimize and automate data capture and enable better prioritization of collections activities. Streamline your opportunity to cash process, manage revenue precisely, and generate real-time financial analyses and audit trails with ease. Cloud accounting software puts your core financial management functions all on Salesforce to manage, accruals, taxes, provisions, month end processing, regulatory reporting and GL posting. We can also integrate with most accounting systems. 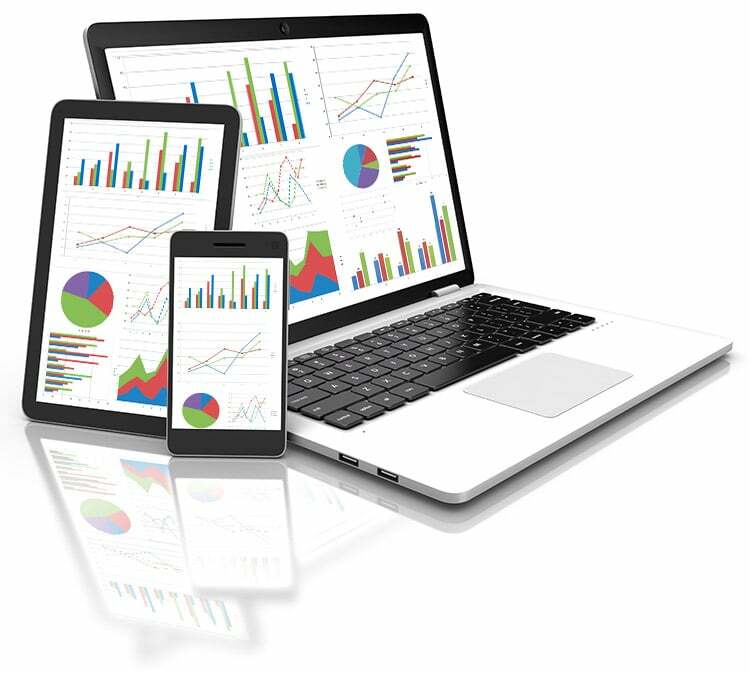 User configurable reports and charts to visualize the performance of your business. 24/7 access to critical data and reporting from any mobile device. Predictive intelligence to accurately plan for growth. Foster collaboration between commercial, technical, and asset management teams. Efficiently manage documentation of aircraft, leases, or lessors. Accelerate sales & marketing productivity enhancements to drive revenue growth. One version of the truth to support workflow automation & executive decision making. Utilize a proven customer credit scoring model to make better lending decisions. Google-like search feature helps you find any information with just two clicks and real-time data. Achieve superior data quality and robust forecasting analytics to enable precise and timely decision making. Capitalize on service productivity tools to sustain high customer satisfaction and increase customer loyalty. Eliminate multiple disparate systems, maintained, integrations and support costs by using one unified platform. Available on Devices You Use Every Day! With Cirrius, your data is never more than a single swipe away. Our powerful mobile apps help you run your business from wherever you are! Cirrius Solutions has executed over 500 successful Salesforce projects across a variety of industries and companies. 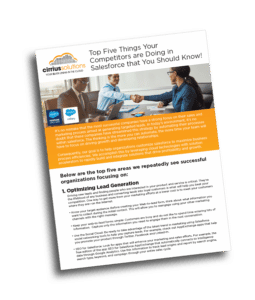 Our highly certified professionals consistently obtain rave reviews from our customers on AppExchange, the industry-standard Salesforce partner site. The team at Cirrius has a very deep understanding of how Salesforce can be used to the greatest benefit. They have helped our company immensely, suggesting things we had never previously considered. Their custom work is completed quickly and with a high degree of quality. The team at Cirrius delivered a high quality custom workflow for use with our existing, complex SalesForce deployment. Chad and the team have demonstrated exceptional knowledge and versatility in manipulating our data environment and producing the new feature to our specification. The delivery included the source code and allows for easy maintenance and updates – no black box solutions here! digital transformation to cloud-based equipment finance management.